Child oral health (orthodontics and paediatric dentistry). The news came as no surprise as the “genius” once scored 100% at the Oral pathology test. 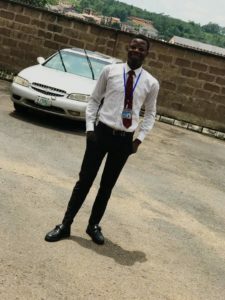 He has also spread his tentacles to other fields asides academics evidenced by his position as the Alexander Brown Hall (ABH) Social and Buttery minister, Editor-in-chief of Dentiscope and the Chairman of the ABH Football Association. It’s worthy of note that distinction score is marked from 80 and he had them previously in Pharmacology and Oral biology, missing that of Part 1 with just few marks. Speaking with him, he said, “The funny thing is that I don’t really put the distinction goal on my mind. I just read and prepare for my tests and exams”. 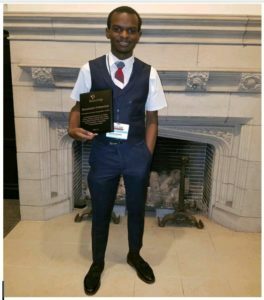 He has been nominated in the highly esteemed Fifteen Outstanding Persons’ Award (FOPA) of the Junior Chambers International, University of IBADAN, in recognition of his academic prowess. 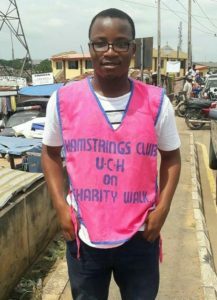 Other worthy UIMSAites on the list are Fawaz Oyebamiji, a final year medical student (for his role in the Hamstrings Club) and Adesanya Folajimi, a 400 level medical student for his role the Panacea Project. 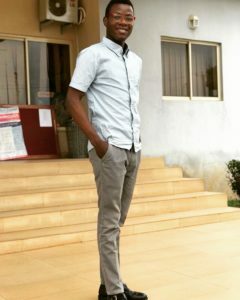 Fawaz Oyebamiji, a final year medical student (for his role in the Hamstrings Club). Adesanya Folajimi, a 400 level medical student for his role in the Panacea Project.